When it comes to gold investments, modern finance professionals are masters at creating new ways to take your money in return for literally nothing. Bullion is particularly prone to such practices whereby most of the funds they receive are never used to buy any form of physical gold, even if you were led to believe otherwise. The majority of gold investments are simply book entries where you are listed as somebody owed cash to (i.e. you are just a creditor), to the value of the asset you thought was physically bought for you. Amazingly, these financial experts will happily argue to you that this paper entry is the same as holding the physical metal. As you will find out, it definitely is not. We offer wholesale physical gold investments in bars and coins, including silver and platinum products on 9 precious metals markets worldwide. Go to our main products page to see our selection of physical bullion products. For true wealth protection to work using precious metals, it is essential that you are able to identify and distinguish between the various types of physical gold investments and their financial paper IOU equivalents. Even if you currently have money in precious metals it's still best to review what you have and where you have it, so as to avoid any unfortunate surprises. The asset must be able to be directly registered to you and in a 3rd party's name such as a broker or bank (i.e. the gold must be allocated not unallocated). You are able to visit, physically see and audit the specific gold assets that you have bought. I will emphasise the above points against each gold investment vehicle within this section so you can see for yourself whether or not it offers you the true wealth protection needed in today's increasingly fragile and risky economic environment. Learn what to seek and avoid and how do to your due diligence. It is important to note that you must learn to view physical gold bullion as a form of money (in the same way as you do for Dollars and Euros) and not as an investment in the traditional sense, or as any form of financial speculation. However, as you will see, a large number of schemes urging you to buy into gold are misleading, therefore we will continue to use the term gold 'investments' in this section for the most part. Many people don't view physical precious metals as a means to store wealth outside of the banking system but as a way to profit from its movements. Whilst I don't personally recommend using bullion as a way to trade, people will still give it a go anyway. For those that are looking to trade in physical bullion go to our page that gives an overview on how to properly trade physical bullion. It's always good practice to look at where you are before moving forward, especially when related to ever changing environments such as finance and the economy. You need to balance your personal needs & circumstances against huge systemic financial risks & the unknown time-frame left. You need to give yourself the best opportunity to be ahead of the crowd when they are all running for the financial emergency exits. Ownership, delivery and access: Do you really own the bullion? 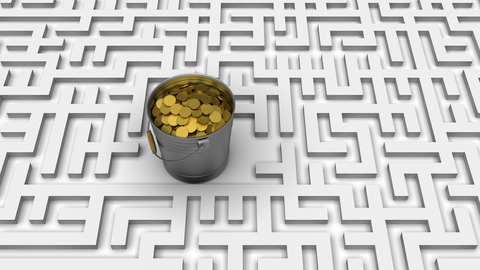 To work out what strategy is best for you see our gold investment advice. The basic principle for wealth preservation is that the portion of your assets that you have set aside to be protected goes into something that does not physically degrade or depreciate in value over time (as in hundreds or thousands of years). Don't let our own short life spans cause you to ridicule the long-term concept of inter-generational wealth. Every 'old money' family had to start somewhere sometime and this is how they did it. Fundamental examples of this include land, silver and buying gold. Paths to Wealth or a Dead-Broke Alleyway? Stay Inside or Outside the Banking System? 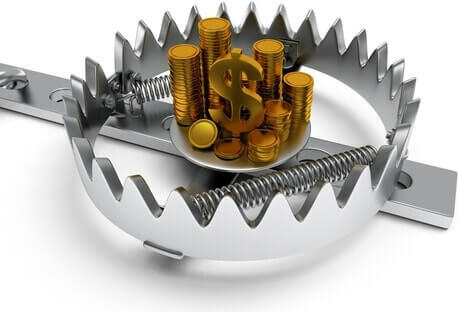 The greatest risk to you is having your gold investments held or managed by those inside the banking system. I consider the banking system as a catch all that also includes brokers and financial institutions. Being outside the banking system helps to insulate you from rule changes and collapses of either the banking systems and global economy. Buying physical gold bullion and keeping it outside of the banking system is the best way to assure true wealth protection. Your personal needs and circumstances will dictate the best way to buy gold, silver or platinum and whether to buy bars or coins. To view our selection of wholesale physical bullion, go to our main products page. If you are unfamiliar with the various aspects of buying precious metals then learn the basic and advanced notions of what to seek and avoid. It is also important to understand what you need to do and take into consideration when purchasing gold coins. Once you are comfortable with your purchasing knowledge you will then have a better idea as to which type of metal and form you wish to buy. Additionally, any purchases you make for personal delivery/collection should always be through reputable national gold coin dealers or international providers such as GoldVu. The benefits of buying physical gold or silver bullion properly is that it is allocated to you and if it's then physically segregated you can personally inspect and audit it. The process to build your own Central Holding with GoldVu is very simple and the full Holding allows you to buy and internationally store wholly allocated physical bullion. With GoldVu, you are able to access 7 major global physical precious metals exchanges via the Allocated Bullion Exchange with whom GoldVu is a registered broker. Buying your gold investments through GoldVu gives you the unique opportunity to buy allocated physical bullion at institutional wholesale prices. To store your gold bullion privately outside of the banking system is the most secure way to manage your gold investments. It is best to use providers that offer multiple vault locations across the world like GoldVu. We are able to offer you vaulting facilities in 9 locations across 7 stable countries. The majority of companies offering private vaulting also provide you with the facility to buy and sell through them when needed. It's better to use private gold storage for your gold investments that guarantees your precious metals holding to be allocated and where you also can visit and personally audit to verify the bullion's existence. With GoldVu, investors are able to visit any of the Allocated Bullion Exchange international storage facilities where you have physical bullion vaulted as part of your Holding. You can also physically withdraw any bullion you have stored with GoldVu to be delivered to a location of your choosing or you can pick it up from the vault yourself. To gain the flexibility of buying wholesale bullion, having it privately vaulted or having the bullion delivered to your home, create a Central Holding with us. If you save using an IRA you can use it to buy gold IRA eligible products and have them stored privately overseas. To ensure your on-going compliance you should discuss it with your financial advisor. With the UK SIPP, you are able to add our gold bullion bar products to your SIPP pension as they all meet the requirements of the Financial Conduct Authority (FCA). With the benefit of being Capital Gains Tax free and the UK Government contributing up to 45% of cost of the gold bullion purchase, you should contact your pension provider to discuss adding physical gold bullion to your SIPP through GoldVu. With an increasingly unstable financial system, it's best to go for the option that allows for your allocated bullion to be personally inspected and audited. Allocated bars that you can personally audit is a critical feature. Any potential financial collapse and monetary reset will be based on the idea of 'you either have it or you don't'. No credit or IOUs will be accepted. Unallocated = Good Luck and get ready to cry! These are typically set up and run by those within the banking system and exist as financial paper IOUs that expose you to the monetary effects of gold. I understand that not everyone is interested in directly holding gold but still wish to have exposure to it within their investment strategy or portfolio. Nevertheless, you need to realise there is always elevated risk associated with unallocated gold investments. With the extra risk involved, you need to be aware of what those risks are and the best approach to buying gold as an investment, especially when it's done for trading purposes. Buying shares in gold mining companies is a good way to get exposure to gold without directly holding the physical metal. However, over 80% of all US stocks are not in the investor's name but in the name of the bank or broker they bought it through, which means they are an unallocated product. In the event of systemic failure of the financial markets, this 80% will be taken by the bank or broker as it was used as collateral because it is registered in their name and is therefore technically owned by them, not you. You are nothing more than just another creditor they owe money to. The loss to those above investors would probably be 100% as the total value of the stock is hundreds of times greater than the insurance covering it. There is a simple way to protect your stocks from being 'confiscated' which can be applied to all shares, not just precious metals mining companies. Learn what to do to minimise the risk of losing your entire precious metals share portfolio in the event of an economic meltdown, and how to be in the 20% of investors that will retain ownership of their share assets. What many do not realise is that the vast majority of ETFs aren't real and you don't ever legally or directly own anything real. They are a virtual financial instrument constructed to simply track and mimic something real. They are just a paper IOU credit. If you have bought into any type of ETF, you will find more details on the fundamental problems with them on our page on Gold ETF Funds. But as you will also see, there are also some very reputable bullion trusts, even though they still do come with certain limitations. Public bank gold investments are unallocated. Banks usually never physically buy the bullion in the first place which is why you won't be issued with a bar serial number that you can visit, see or personally audit. It is standard practise for public banks to register your payment to them in their books as money owed to you, to the market value of the amount of physical gold you wanted to buy. Basically they take your money in return for nothing but a paper IOU credit. You have the list of bar serial numbers which are confirmed in writing by the bank. You are allowed to periodically visit, see and audit your holding against the above bar list. Make sure you do visit to inspect it (minimum once a year) so the bank realises it can't hypothecate the bullion without you knowing it's gone. The bank directly owns their own vault within which your bullion is being kept and your bullion is held there and not at a sub-custodian. Many private banks have to sub-lease vault space from the larger public banks, who in turn could (probably more often than you think) help themselves to the private gold deposited and replace it with a paper IOU as mentioned on our page of what to seek and avoid. These are generally considered to be unallocated gold investments. They are really just a glorified receipt for you to use as a claim on a pool of unallocated bullion. Furthermore you'll find that the certificate program's disclaimer has a Force Majeure clause which is something they get to choose what that will be and it won't be to your benefit (you'll find this to be the case with all precious metals investment schemes that aren't both physical and 100% allocated). Such clauses don't exist with wholly allocated physical precious metals as any physical loss is very black & white, e.g. the vault was robbed and the bullion doesn't exist there any more. Force Majeures only exist where some form of liability exists or a potential inability to be able to deliver to the investor what they supposedly invested into. Whilst these discrepancies are often remedied, there is always the possibility that a Force Majeure becomes permanent, resulting in a loss to the investor without compensation. This is why it's essential that you do your own due diligence on who is involved in the chain, who own who and where the liabilities sit.